LAKEWOOD RANCH, Fla. (Dec. 10, 2017) - A competitive 1-1 draw between the U-18/19 NTH Tophat and Penn Fusion Soccer Academy concluded the set of 12 feature games that were live streamed during the 2017 U.S. Soccer Girls' Development Academy Winter Showcase at Premier Sports Campus. 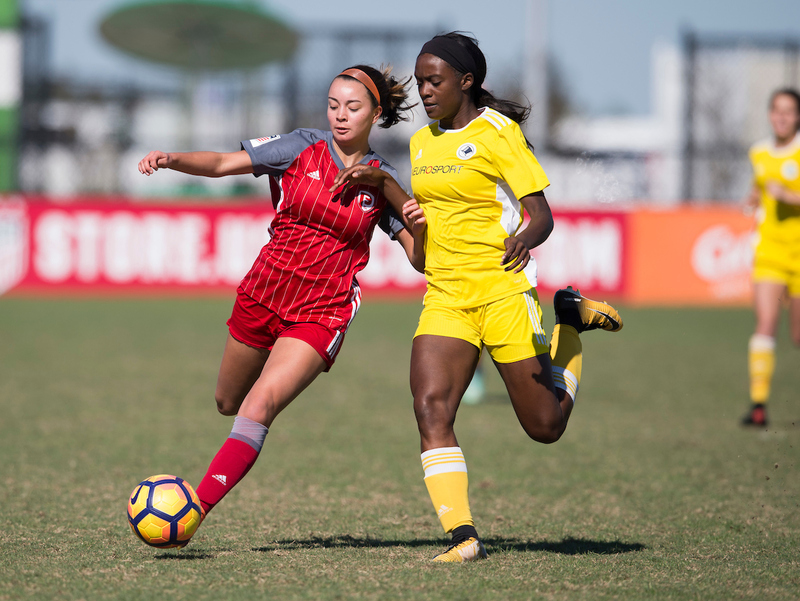 NTH Tophat club has 100% of its players committed to Division I colleges, but played without its best player in Brianna Pinto, who is playing with the U-20 Women's National Team during the Nike International Friendlies. With the draw, the team moves to a 8-0-4 record this season. NTH Tophat got on the scoreboard first when Ella Shamburger took a shot from inside the box and her attempt was deflected, bouncing into the back of the net in the 29th minute. In the 70th minute, an injury to NTH Tophat paused the game for several minutes before resuming, and the team went on to play with 10 players for the remainder of the game. In the first minute of stoppage time, Tophat was whistled for a handball and Penn Fusion converted the penalty for the 1-1 final score line.